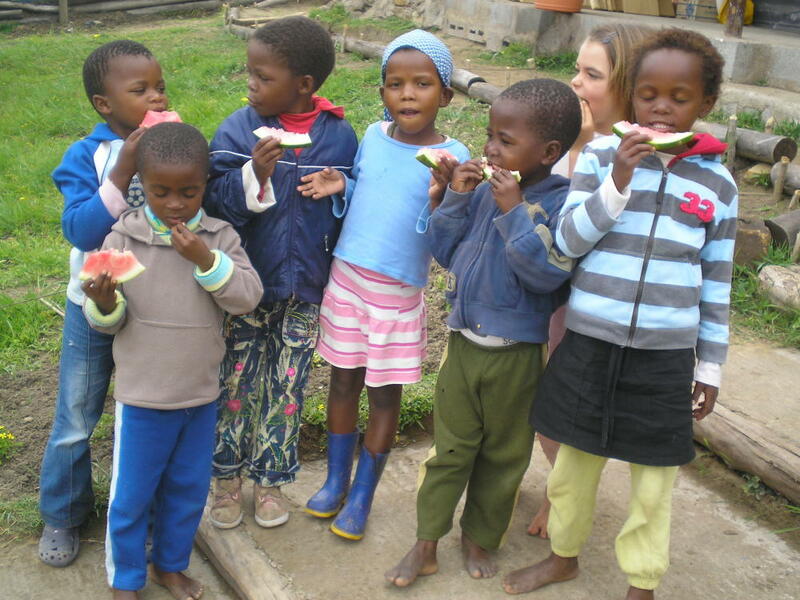 We had the great fortune of being able to observe the children’s delight as they enjoyed their first tastes of watermelon, popcorn and jelly! The kids watched in amazement as the corn kernels that they know so well from their own annual harvests puffed into unfamiliar fluffy popcorns. 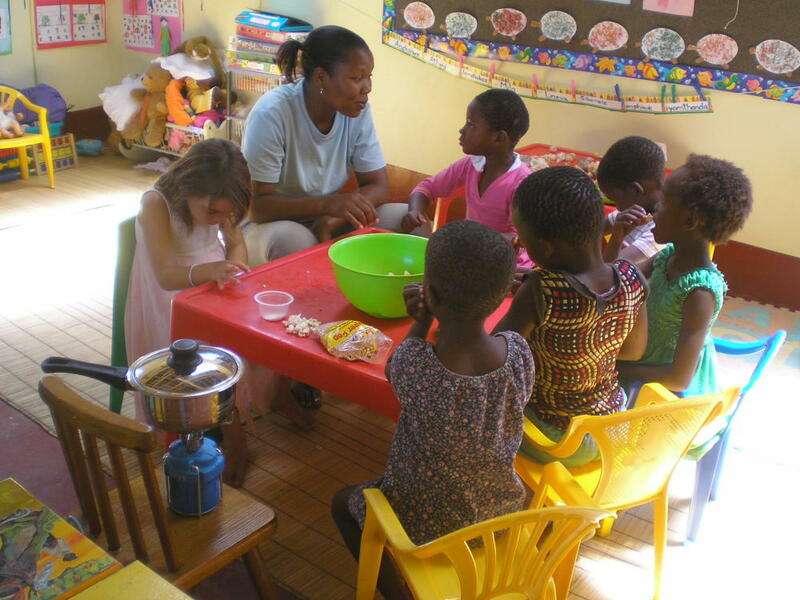 This activity will no doubt also become a regular feature on the preschool programme. 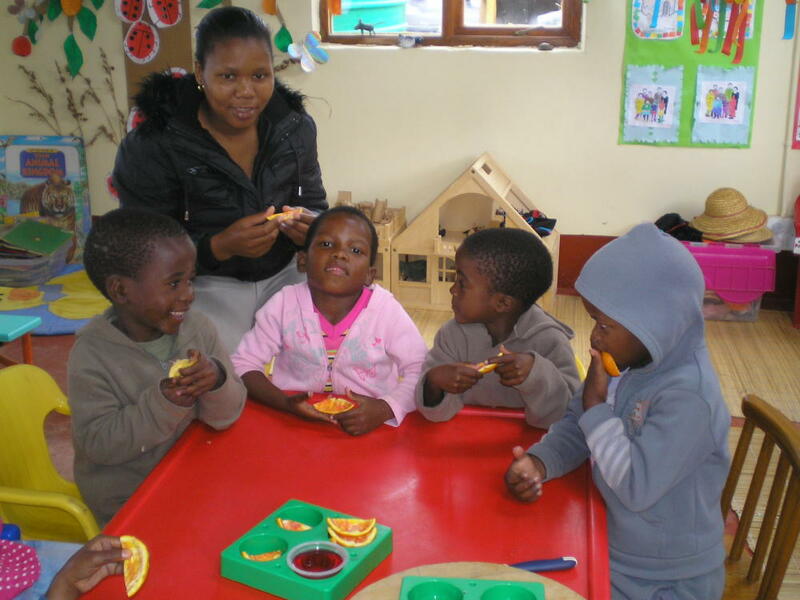 The children also delighted recently in eating orange ‘jelly-boats’ (scooped out orange halves filled with jelly. Once the jelly has set, the oranges are cut in quarters to make little jelly ‘boats’).